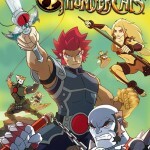 The Thundercats Magazine Issue #2 has been released in the UK. The magazine, created by Panini Comics, features a packed in bow toy this issue. Each issue of the magazine features a nice 13-page comic strip, character profiles, puzzles and more. The issue has begun popping up on Ebay. You can check that out by Clicking Here. 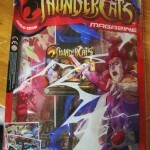 Blimey has posted some information on the upcoming UK Thundercats Magazine. As previously suspected, Panini will be publishing the Thundercats Magazine. It’s aimed at young boys between the ages of 7-12 years old. Issues will be published every four weeks, will be 36 pages and will contain a special gift. Issue #1 will feature a Sword of Omens as a free gift. The first issue goes on sale in the UK on March 22nd priced £2.99. I have contacted Panini, and they have provided us with some additional images and info. This is indeed a UK only magazine, and is being described as a magazine and not a comic. It will feature comics, puzzles, fact files, picture comics and more. The magazine is written by Ferg Handley, who previously handled the European Spectacular Spider-Man magazine. There will be NO Digital Version available unfortunately. At this past weekends Wondercon, WB handed out a poster (see the thumbnail) that announced a that DC Comcis will be distributing a Digital Thundercats Comic. This one is not tied to the UK one. Bandai has released a teaser in PDF format. You can download that by Clicking Here. Comicbits has posted a couple of preview pages of the upcoming UK Thundercats Comic. Artwork is being done by Cosmo White and colors are being handled by Kat Nicholson. The artwork is pretty stunning looking so far. It looks like we have confirmation that the comic will be published by Panini Comics. Kat Nicholson, a comic colorist in the UK has posted on her DeviantArt Page that she is currently coloring a new Thundercats comic for a UK release! 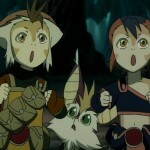 The comic will be based on the Modern Thundercats and is being drawn by artist Cosmo White. 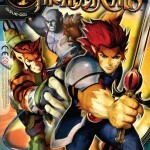 NEW PROJECT – THUNDERCATS Comic!